The contrasts could not be clearer. Matheson tries to mislead voters again. 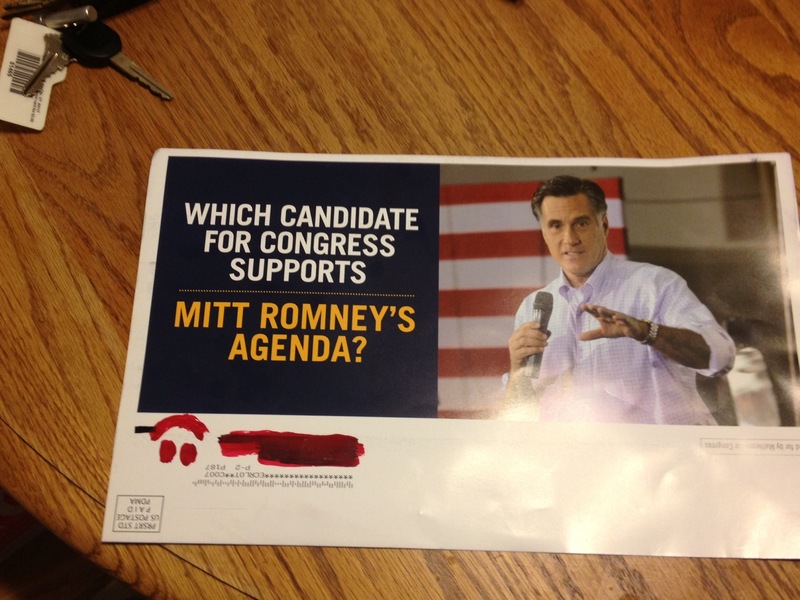 In a last-ditch, desperate attempt to cling to power, Congressman Jim Matheson sent one final mailer. Did it include his plan for the future? A list of the issues Utah could count on him to champion? Even a tally of everything he got accomplished during the last 12 years? Of course not! In case you missed it, the Republican presidential nominee has not only endorsed Matheson’s opponent, Mia Love, but has even cut a direct-to-camera ad for her telling Utahns SHE is the one he trusts. Apparently he’s counting on voters who #1, don’t watch TV, #2, don’t listen to the radio, #3, don’t read the newspapers and #4, don’t turn to the Internet for a little fact-checking. Good luck with that. Every single poll but his own shows him losing. EVERY.SINGLE.ONE. Clear differences. Vote for the grown-up on Tuesday. Vote Mitt Romney. Joe Biden – the gift that keeps on giving…..